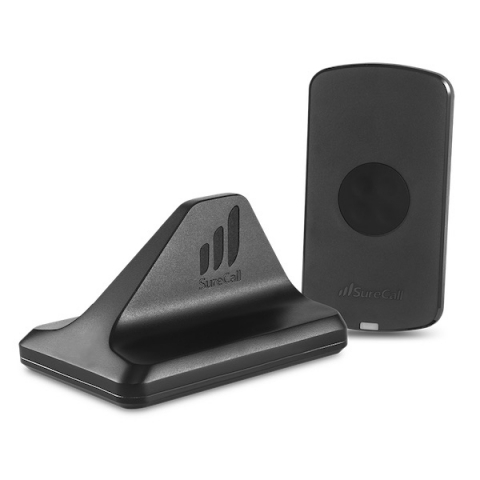 Improving voice, text and data signals inside a vehicle is as easy as attaching the SureCall FusionTrek™ Cradle Amplifier to your dashboard or rear window. 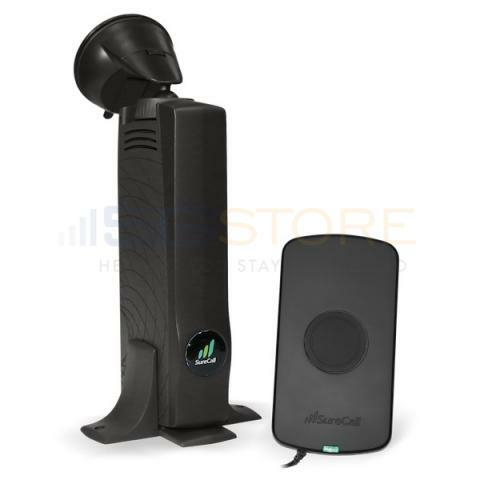 The FusionTrek stands apart from other in-vehicle cell phone booster kits in that it does not require an outside antenna. Instead, the omnidirectional donor antenna is built into the amplifier, which picks up the signal from the nearest cell tower and boosts it up to 23 dBi. Any phone or hotspot that’s in the cradle will immediately get a stronger signal for improved call quality, 3G/4G/LTE speeds and battery life. The FusionTrek Vehicle Amplifier Kit requires no out-of-car equipment or cable placement, making installation a snap in cars, trucks and SUVs. The 5-band amplifier works with all major cellular carriers in the U.S. and Canada. Automatic gain adjustment prevents interference due to excessive signal. And with a rated operating temperature of up to 158 degrees, it will still work even after sitting in a hot car all day. This plug-and-play vehicle cradle amplifier comes with a 15-foot cable to connect the two components and a DC power supply for when you need a boost in shoddy coverage areas. This device works as described, and then some! Boosts my signal from -126 to -104 at the flick of a switch.